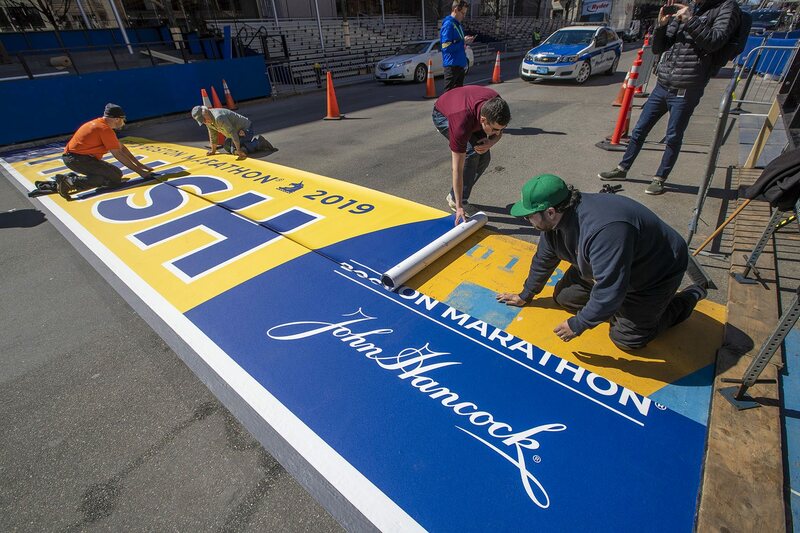 The 123rd Boston Marathon is less than a week away, and as usual, thousands of spectators will gather around the race route to watch. Patriots' Day is once again likely to be rainy, and it could be fairly chilly, too — though it's still too early to tell for sure. Meterologist David Epstein says a storm will move through the region Sunday night and says temperatures could get up to the mid-60s with some rain and humidity. The Boston Athletic Association is warning of colder temperatures, with rain, strong wind. This year, the marathon falls on the same day as One Boston Day, marking six years since the Boston Marathon bombings. Note: Start times have been updated below. The BAA announced Friday a modification for Wave 4 due to the weather forecast. All other information for runners remains the same. Handcycle and duo participants: 9:25 a.m.
Elite men and wave one: 10 a.m.
Ashland: 7:15 a.m. - 1:45 p.m.
Framingham: 8:30 a.m. - 2:15 p.m.
Natick: 8:30 a.m. - 2:45 p.m.
Brookline: 9 a.m. - 5:15 a.m.
Boston: Varies to 6:30 p.m.
All times are approximate. If a link is not provided to announcements from public officials — which give greater details on the roads closing in that town/city — closure times are based on those listed by the BAA. Some roads in Boston will begin closing over the weekend, too. Roads will close in Hopkinton at 7 a.m. on race day, and there will be no on-street parking allowed in the town. Whether you’re a spectator, volunteer or runner, if you plan to drive there, it’s a good idea to arrive at available parking lots early, as space will be limited. This year, runners are being asked to take shuttle buses from Boston Common to the starting line in Hopkinton. Buses are loading in waves by bib number, starting at 6 a.m.
101 - 7,799: 6 a.m. - 6:45 a.m.
8,000 - 15,999: 7 a.m. - 7:45 a.m.
16,000 - 23,999: 8 a.m. - 8:45 a.m.
24,000 - 32,699: 8:55 a.m. - 9:30 a.m. Parking will be restricted on many streets throughout downtown Boston on race day, and with streets around the course closed to drivers, using public transportation is your best bet. The MBTA's Boston Marathon site has maps and advice on how to take the subway, commuter rail and buses, as well as updates on changes to services. The MBTA is offering a $15 Marathon pass for the Commuter Rail, an unlimited all-day pass valid for all commuter rail lines and zones. If you want to drive in, the city recommends you don't, and asks you to use the MBTA or Hubway instead. Parking meters will be free, but many of them will be closed, so make sure to check before you park. It's very similar to other years — no weapons, no backpacks, no coolers or glass containers, no drones. Read more here. The BAA has published a spectator guide with recommended places to get the best views, and how to get there. CBS Boston WBZ-TV will be airing the marathon live from 7 a.m. to 3 p.m. ET. They will re-broadcast starting at 8 p.m. on myTV38. CBSBoston.com will live stream. NBC Sports will be covering the race live from 8:30 a.m. to 1 p.m. on the NBC Sports Network. More info here. And here's our guide, from 2014, on the best places to watch the marathon. 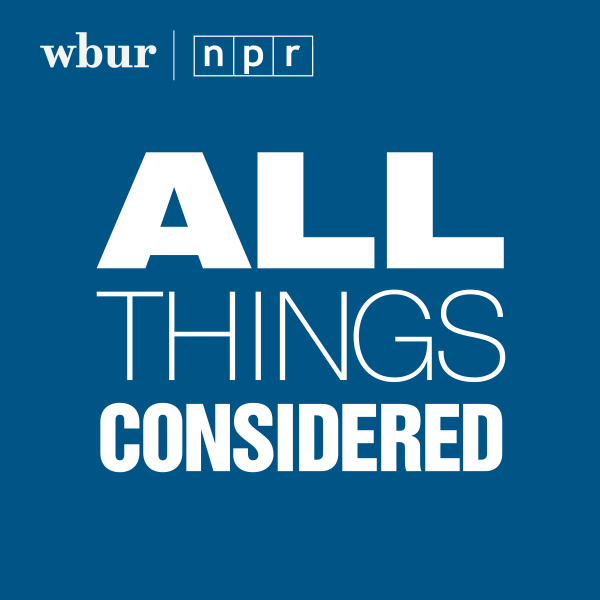 Also, follow along with WBUR Monday on our website, Twitter, Instagram and, of course, on air.